Well, I'm turning in for the evening. But anyone know the cost of a semi decent Unicanitor saddle? The Campy Nuovo Record cranks, hubs, derailleur, shifters, seat post, bottom bracket, Cinellii handlebars, stem, Masi Criterium Ale water bottle etc.? It's crazy! This is not a joke to me. I'm 62 years old. My second love is my 1972 Raleigh International. But this, this idea wrapped itself around my heart and deal done. 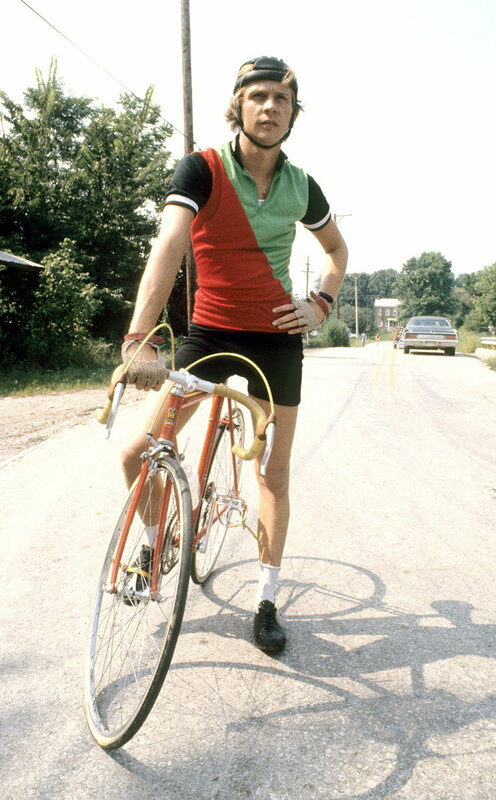 And I wouldn't have thought of it weren't for the talk here of Breaking Away. Watching the movie again, man, was great. I have no regrets. I'm waiting for a few more things to arrive but mostly the spokes. I wish you all a great ride!